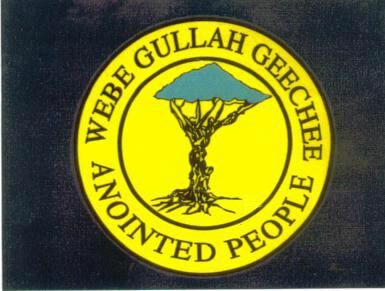 The Gullah/Geechees came together to declare themselves as a nation on July 2, 2000 with international observers and media present. The Gullah/Geechee Nation exist from Jacksonville, NC to Jacksonville, FL. It encompasses all of the Sea Islands and thirty to thirty-five miles inland to the St. John’s River. On these islands, people from numerous African ethnic groups linked with indigenous Americans and created the unique Gullah language and traditions from which later came “Geechee.” The Gullah/Geechee people have been considered “a nation within a nation” from the time of chattel enslavement in the United States until they officially became an internationally recognized nation on July 2, 2000. At the time of their declaration as a nation, they confirmed the election of their first “head pun de boddee”-head of state and official spokesperson and queen mother. 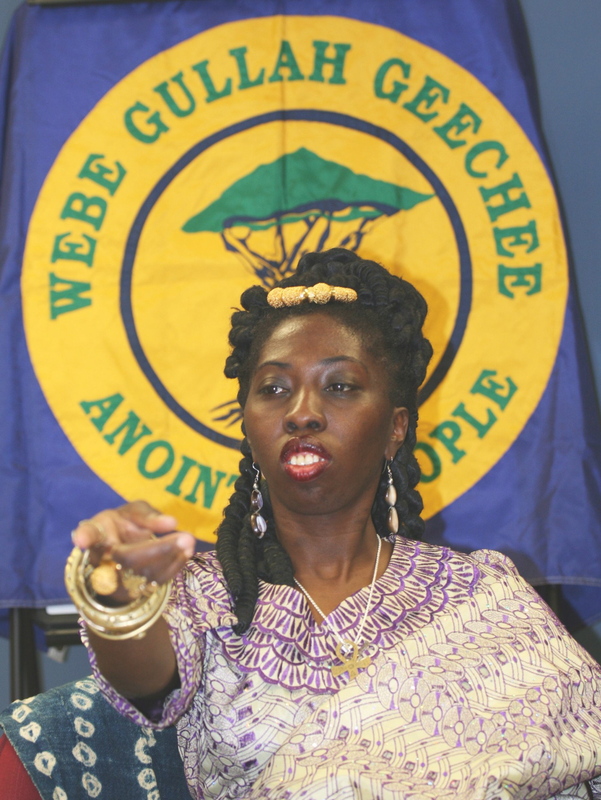 They elected Queen Quet, Chieftess and Head-of-State for the Gullah/Geechee Nation (www.QueenQuet.com). Queen Quet is the first elected Chieftess and Head-of-State for the Gullah/Geechee Nation. To preserve, protect, and promote our history, culture, language, and homeland and to institute and demand official recognition of the governance (minority) rights necessary to accomplish our mission to take care of our community through collective efforts which will provide a healthy environment, care for the well beings of each person, and economic empowerment. As we are the authentic original Gullah/Geechee Nation with direct linkage to our ancestral legacy, we stand as custodians of Gullah/Geechee culture and protectors of our human rights. Henceforth, being the ONLY and TRUE keepers of the Gullah/ Geechee cultural legacy, upon us falls the responsibility to promote in an accurate and positive manner all aspects of Gullah/ Geechee culture by emanating knowledge and healing souls. This process is guided through the release of the full story of the foreparents of Gullah and Geechee ancestral souls and the wisdom of our elders. WE intend to protect the development and construction of Gullah/Geechee culture through the establishment of appropriate institutions and law by the exercise of our human rights. Presently this is being achieved through and during conferences, workshops, festivals, and other celebrations of culture and the continuation of oral traditions, living history, crafts, skills, and reconnection to the soil. The establishment of this Constitution will guarantee the continuation by the exercise of our minority right to self-determination. WE will link with organizations, other nations, and institutions that are contributing positively to the cultivation of our nation.insuring that those connections are carried out with dignity and honor. In the tradition of our foreparents we will record in written form OURSTORY as a living testament to our Gullah/Geechee legacy. We will also broaden our continuum through the use of electronic and video and audio means of documentation. Through the exercise of our human rights, we will be the keepers of this material as we accept the responsibilities of defining ourselves and our ancestors. WE will preserve, maintain, and reclaim ALL elements of our homeland which will FOREVER be our base of existence as we carry out these goals. With these goals in mind, Gullah/Geechee people take formal recognition of their nation and their human right to self-determination within the context of their minority governance rights, and thereby, the Gullah/Geechee Nation Wisdom Circle Council of Elders, by its hands, spirit and soul undertakes the task of creating and ratifying the first Constitution of the Gullah/Geechee Nation. The Gullah/Geechee Nation Constitution is 21 pages long. It is the document of governing principles by which the Wisdom Circle Council of Elders and the Assembly of Representatives operated as the right and left hands of the Head-of-State. In order to keep up with the latest information regarding the Gullah/Geechee Nation, please subscribe to our Gullah/Geechee Nation blog or click on the link below to access it, subscribe to our monthly international ezine “De Conch” by emailing the Gullah/Geechee Sea Island Coalition at GullGeeCo@aol.com, watch Gullah/Geechee TV Nayshun Nyews and subscribe for FREE on YouTube, and tune in to Gullah/Geechee Riddim Radio and subscribe for FREE on iTunes. All a disya gwine le hunnuh kno who webe fa tru an fa sho! Ef hunnuh wan buy Gullah/Geechee tings, den gwine ta de Gullah/Geechee Nation’s online store: www.gullahgeechee.ecwid.com or at www.gullahgeechee.biz fa support we! My grandparents surnames are Evans, Beauchanan, and Atkinson. They eventually settled in Pennsylvania after leaving Chickasaw County in Mississipi. But if 90% percent of african slaves came through the sea islands, I’m wondering if that name rings a bell to you. Thank you so much for this information on our people! We’ve heard of these surnames, but not usually here in the Gullah/Geechee Nation. The surname “Mack” is common here. Those specific people’s names we do not know. Our next event will be in 2019. Stay tuned here and you will see them when they are posted for sure. I am from the Simmons family and Edwards family from John’s Island. They were originally living in Red Top. I am related to the Simmons of Adams Run, also the Deas and Middletons of Charleston. My maiden name is Deas and my Geechee grandfather and his family were from Charleston, SC. I’m guessing we’re very likely related! Greetings, my mother was born and raised in Greenville, SC and the surname was Miles and Arnold. My father was born and raised in Bibbs; Macon, Ga and the surname is Isabell (Isabelle) and West. Both of my parents settle in New York at very young age and lived there their whole life. Both my parents have made their transition. Is there any way getting or finding more information if they belong to this great nation. Greenville and Macon are not in the Gullah/Geechee Nation and there are different cultures and languages there. 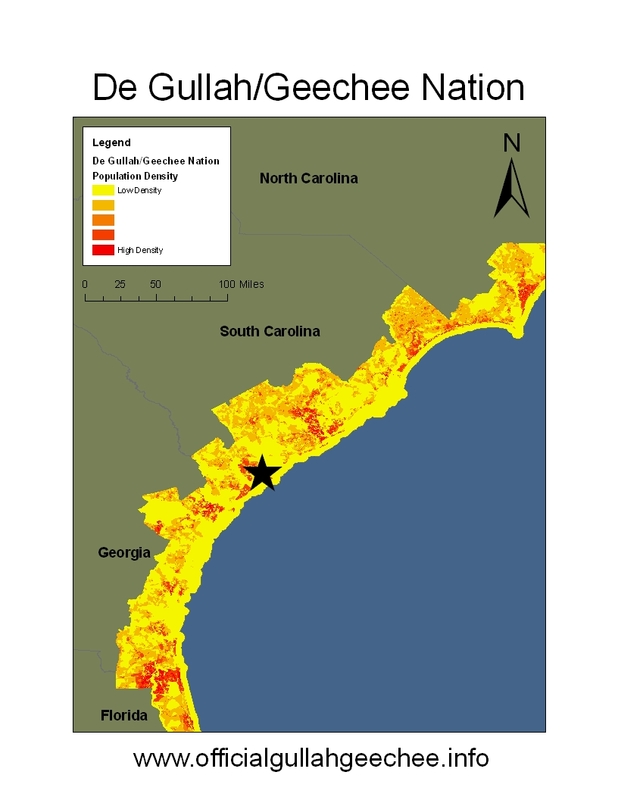 Greenville nor Macon are in the Gullah/Geechee Nation. They are both well outside of our boundaries. I am new to the knowledge of my Gullah/Geechee heritage, but would love to learn more. My Grandmother recently passed away and was from Orangeburg, SC with the last name Dykes. Also, my Grandfather was from Orangeburg, SC as well and had the surname of Chisholm. If you have any information that you can share with me about my family I will be deeply appreciative. Longing to know more. Orangeburg is outside the boundaries of the Gullah/Geechee Nation. Some Gullah/Geechees migrated there for college, but that is not part of the Gullah/Geechee Nation and the culture and languages are different there. So, you may want to research your great and great great grandparents. Aaron-I’m in Louisville too trying to learn my Gullah/geechee heritage. Hello there I’m from Colorado but my dad side of my family is from Charleston Sc and I was wanting to know more about the heritage can you tell me if Burnell is a common name is it Geechee Gullah? Your surname is not common here, but Edisto is definitely within the boundaries of the Gullah/Geechee Nation. Go to http://www.GullahGeechee.tv and do a search for Queen Quet and Edisto to learn more. The Washingtons on James Island should be Gullah/Geechee people. James Island is within our boundaries. Which Jacksonville? Williams is a common name here and in many places. The other surnames are not common here. Hi I forgot to mention another family surname of Simmons is this a Gullah surname also. Simmons is a common Gullah/Geechee surname. My great grandmothers last name was Simmons and she was born in Florida. She was a Black Seminole. My grandmother on my fathers side last name was Ansley. Are those Gullah names. I do have 2 cousins whom I have not met that are on my family tree thru ancestery dna that goes by SC Geechee which means I think South Carolina Geechee. My family is also from Alabama. Ancestors are from South Carolina. I am part African and American Indian ancestery. Are Black Seminole Gullah people. Yes, Black Seminoles are Gullah/Geechee. Please go to http://www.GullahGeechee.tv and type on “Gullah/Geechee Seminole” and watch the videos of the reunions. Boles are also on St. Helena Island. Yemassee, Beaufort, and Savannah are all part of the Gullah/Geechee Nation. Jacksonville Florida is where my Williams family lived and lives. Are they the beautiful Gullah people?This refers to my other post. You wanted to know which Jacksonville. Thanks and peace. Greetings! I come from the Zant and Williams families in Brunswick, GA. Are these Gullah/Geechee names? There are a number of Williams throughout the Gullah/Geechee Nation. However, we are not familiar with Zant. Brunswick, GA is within the Gullah/Geechee Nation for sure. My paternal line of Harris’ come from Sumter Co., South Carolina, or that is what I have been told. They may have relocated from another area. In their speech, appearance, and their traditions, I would say they were Gullah. Do y’all recognize the surname Cole as being GULLAH. Cole is not a common name here, but we have found it in some areas. Queen Quet did the first event to relink those in Canada with their Gullah/Geechee roots in Carolina back in the 1990s. What festivals are you referring to? My maiden last name is Altman and I was born in Georgetown but have family in pawleys island. I remember my dad referring to himself as a geechee but never understood what is was. I am in Alabama now. Peace family. My fathers entire family is from S. Carolina. The last name is Simpson. My brothers and I, who are presently in Texas, are trying to uncover our heritage and peice together our history. Does our surname ring a bell? That is not a name that we are familiar with here. Is Sampson a common name? My grandpa was from the low country in South Carolina. He was educated in Charleston. They always talked about being Gullah/Geechee but had a hard life and moved away to head out west. Now him and his siblings have all passed on and the stories with them. Our surname is Miller. Are there and Millers still living in the Gullah/Geechee Nation? There are a great deal of people here that are Millers. Many of them are on St. Helena Island, SC, but there are also some in Charleston County, SC. Hello all! I’m starting my journey on learning about my ancestors and want to know if some of them were of the nation… My eldest ancestor’s names were Monday and Rebecca Lafayette ( they were from Christ Church) and later married into the Pudigon Family. thank you! These names are somewhat familiar. Do you have the state and county that your family members originated in? According to what I have, both Monday and Rabecca Lafayette were from Mt. Pleasant, Charleston county, SC. The Lafayette Family is also a name that continues to live on James Island and Sol Legare in Charleston County, SC. So, we are SURE you can simply visit and find them. oh wow! that’s exciting! I look forward to connecting and learning! thank you! Greetings! My name is Anjelica, and I’m from St. Simon’s Island, GA. My family names are Sullivan and Rooks. Do those sound familiar in the Gullah/Geechee community? My grandmother somewhat talked about the geechee culture but never went in depth. I’m trying to learn all I can do I can teach my daughter. Please help. We can tell you that St. Simon’s Island is part of the Gullah/Geechee Nation, but most of the people there were taught not to own their culture and not to use those terms. So, it is very likely if you visit the Harrington Schoohouse on St. Simon’s, they will be able to link you to family members. Hello, my family and I have lived in Brunswick, Ga and Sapelo Island, Ga all our lives. My great grandparents and grandparents both spoke much about the Gullah way of life. Armstrong, Stuart, Du Bignon, Stephens, Green, Johnson and Florence are all family names. Can you confirm any of these? Several of those last names including Green and Johnson are common throughout the Gullah/Geechee Nation. However. you stated that you lived in Brunswick, but not that you are native to Brunswick. How many generations back would your family roots go in Brunswick would be the issue more than surnames. You can go to the Harrington School House and confirm more about those last names. My family is native to Brunswick, Jekyll, sapelo and st Simons islands. Great grandparents say that they’re great grandparents were slaves who were freed on Jekyll island who moved inland a little to Brunswick in the early 1900s. Thank you! I guess just for reference my late grandfather was born in 1926 in Brunswick, Ga.
Great! Then you can simply go home and reconnect with family! Peace and Blessings! My maternal grandmother was from Charleston, South Carolina specifically Wardmalaw Island…her maiden name was Fraser. I believe that we still have family there or in Charleston. I’m actually from rural South Carolina born and raised in rural Florence County. I often wonder how the Gullah/Geechee lineage relates the evolution of McFadden and Burgess family in the throughout the rural PeeDee area of SC. Hello Looking for surname McQueen. This is my dads side and most of his siblings born in Duvall county Florida (Jacksonville). I have heard that they migrated from SC (not sure where) They had (all are deceased) a lot of what i would consider Gullah ways and even the dialect. Shalom family, my family on my father’s side have the surname of Jones and Martin, are these common names? The slave master my family was under was Alexander Martin from Alabama. My family spread out to Georgia, Mississippi, and Alabama. I was just trying to get some insight from you, much appreciated in advance. We do know that some of our folks were walked from the coast to the deep south, but we do not keep plantation owners names as records for the most part. Queen Quet references this journey in “Frum We Soul ta de Soil: Cotton, Rice, and Indigo” which can be obtained from http://www.GullahGeechee.biz. Hello I live in GA.
my grandmother is from Darien, GA. Our last names are CUTHBERTS, SULLIVANS, BROWNS, LOTSON (I don’t know the actual pronunciation), and BYRANTS. I have family In SC, and Sapelo island, and along the Caribbean. I’m looking for other family members or someone to respond to me. I’m still young and trying to connect the family tree. I’m the only one who has done research so far. Please and thank you! Greetings Queen, I am researching my history after taking AncestryDNA test and have found the surname Willis out of St. Helena Island, Beaufort, South Carolina. Jerry Willis, Thomas Willis, Abraham Willis, and Jessie Willis. I do believe these are Gullah Geeche ancestors? I just did my ancestry dna results and I am 98% African. Both sides of my family come from SC. Dad’s mom from Beaufort, mom’s family from there too, as well as Hampton and Yamessee. Looking forward to seeing my people later this year. Porters, Henderson’s, Oranges and more last names I can’t think of right now. God bless the Gullah Geechie Nation. Kingston, Jamaica . I plan to visit the Carolinas this summer for the first time.Could you help me to lay out an itinerary of some ” must see historical and cultural sites”? Hello. I’m researching my family history. Our last name is Venning. Can you tell me if this name rings a bell or if you know any resources that could point me in the right direction. Thank you! This is not a name that we have heard in our region. Thank you. Any Gadsons out there?? My name is Brandon Nghtingale and I have traced my family history back to Cumberland Island. I recently took a ferry to the island with my father and I know my family is from there because all of my family is named after the white plantation owners. A Nightingale married into into the Cumberland family and the slaves took his last name essentially. When i toured the island, the tour guides knew nothing about the slaves property and didn’t know where they were buried. I have a read a lot of books on Cumberland Island and I understand that my ancestors spoke gullah on that island. I would love to talk with someone about the gullah/geechee culture. It would be best for you to attend one of our annual events that we post and speak to Queen Quet there. She fought for that island and the chimneys to insure that ourstory was not lost there. Is that the only way to get in contact Queen Quet? I see the next event is in Ohio. Will there be anything in Florida in the near future? I would love to know more about the work she did and the chimneys. We are CiTIZENS of the Gullah/Geechee Nation. You can become an dues paying active MEMBER of the Gullah/Geechee Sea Island Coalition which is an organization. Gwine ta http://www.GullahGeechee.net fa mo bout um. Dues can be paid at http://www.GullahGeechee.biz. You should keep up with the events posted here since you are following our blog and support the efforts and activities that are under way. We can tell you that they are still living there. You should plan to go to Sea Island Cultural Day the Saturday after Labor Day and introduce yourself. No doubt some of your family members will be out there. I notice that there are a lot of people asking about surnames. Is it possible to create a list of surnames that we can search from? My father’s family is from Elloree which is in Orangeburg County. I know that you said Orangeburg is outside of Gullah territory but my grandmother had such a distinct accent which many of her children and grandchildren picked up which seems so reminiscent of Gullah. On that side my family descends from the Dash, Bookhart, Oliver, and Jenkins lines. I wonder if there were groups of Gullahs who did end up in Orangeburg. We have an archive in which historic materials are deposited including any family histories that people decide to deposit. Our archive directs people to sister research centers for family research. We would NOT make a list of surnames and place them online. The cost of that is massive economically and spiritually to us. There is a LOT of confusion about our culture as it is and a list of names will not confirm that someone is Gullah/Geechee, but some people would exploit such a list to say just that. As with any other city that someone can possibly name in the US, there is likely an enclave of Gullah/Geechees there. Orangeburg is primarily an HBCU town. So, there are a number of native Gullah/Geechees that have gone and flow in and out of there due to their connections to the HBCUs that are the primary employers and social gathering locations for a number of our people from the coast. However, Orangeburg County has its own culture and the Gullah language is not native there. Where is the archive located. I would like to it on my next trip to SC. The archive is only accessible to those approved for research. WE do not do genealogical research at the archive. As stated, we send you to sister centers including the St. Helena Branch Library and you can go to the Heritage Library on Hilton Head to look at records and may locate what you are seeking. I’m searching for the family surnames of Robinson and Middleton, Trying to connect with any possible family in the area. Are you familiar with any of these surnames in the area. In my family history search I as able to trace back to my 2nd grandfather Adam Robinson and his parents and my 3rd great grandparents Neptune and Molly Robinson who looks like they were from Beaufort, SC. I told there may be some Robinson in St Helena or Port Royal area. I was told my Middleton side of the family were from this area, but I’m unsure. Any insight would greatly be appreciated. There are several sets of Robinson in Beaufort County, SC. Some are on St. Helena Island, but the others are in Grays Hill area. There are Middletons in Beaufort and Charleston Counties and they tend to be large families. Middleton Plantation in Charleston may be a lead for you to find documentation also. Hello! My family is from Greeleyville, SC and Salters, SC. We are Murray’s, Williams, and Coards. Dr. Charles E. Murray has the high school in Greeleyville named for him and he is my grandmother’s first cousin. I’m sure my family history is strongly tied to geech, as I grew up listening to my grandma and her sisters speak the language and sing the language. I’d love to connect with my heritage family. Don’t miss our annual events to reunite the Gullah/Geechee Famlee! We will host Gullah/Geechee Famlee Day at Mosquito Beach again this year: https://www.eventbrite.com/e/gullahgeechee-famlee-day-at-mosquito-beach-2019-tickets-55576705422 Sign up de famlee and jayn we! Hello. I’ve been researching lately and I found out that my great great grandfather “Abraham Grant” was a farmer from Beaufort South Carolina does “Grant” or “Howard” sound familiar?? I would like to know because I would really like to connect to my heritage. Yes. There is a large GRANT family in Oaks on St. Helena Island, SC which is in Beaufort County. We know of Howards from Edisto Island that live in Beaufort County, SC also.